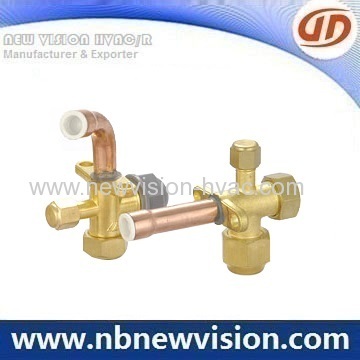 Air conditioning service valve is a key component in cooling and heating system, made of brass and copper in top quality, with a special valve stem and O rings of CR material to avoid the leaking, available types for 2 way and 3 way, straight tube and bend pipe available, brass flare nut and plastic nut available, regular sizes for 1/4", 3/8", 1/2", 5/8" and 3/4" etc. 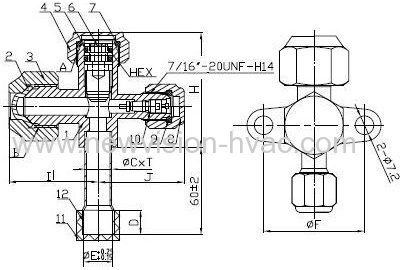 Split and certral air conditioner valve is used as service valves in mini-split air-conditioning and heat pump systems. The valves isolate sections of a system for servicing and provide a means for charging refrigerant into a unit. 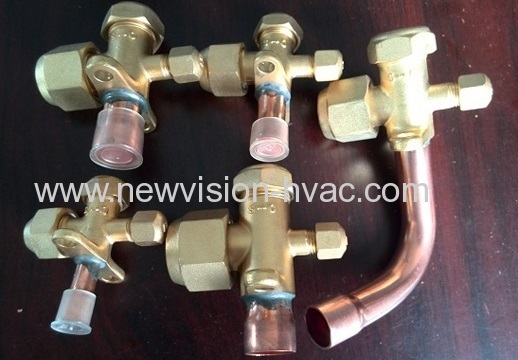 The valve also holds a restrictor and screen to meter refrigerant and filter debris, increasing system efficiency. Captivated stem-design holds the stem within the valve to prevent it from releasing when the cap is removed or the unit is serviced, reducing the potential for injury. 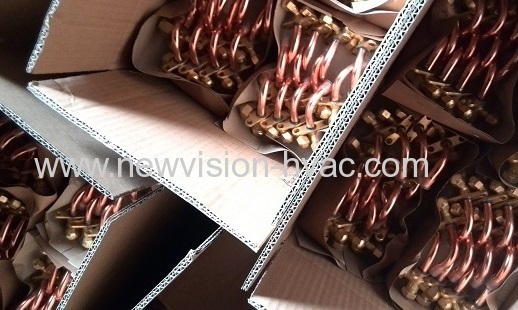 Suitable for refrigerant R12, R22, R407c, R410a and R501 etc. Removable flare nut provides easy connection of liquid and suction lines. Forged brass body virtually eliminates corrosion-related problems. Use of a standard allen wrench provides actuation of the valve. In case of more assistance about air conditioning service valve, it is welcome to let us any time and we will contact you in 24 hours.